Challenge: Frequent battery failures and difficulty managing multiple UPSs prompted Alert Ambulance to pull the plug on its previous APC units. The company sought to replace the solution with a highly reliable, centralized UPS. 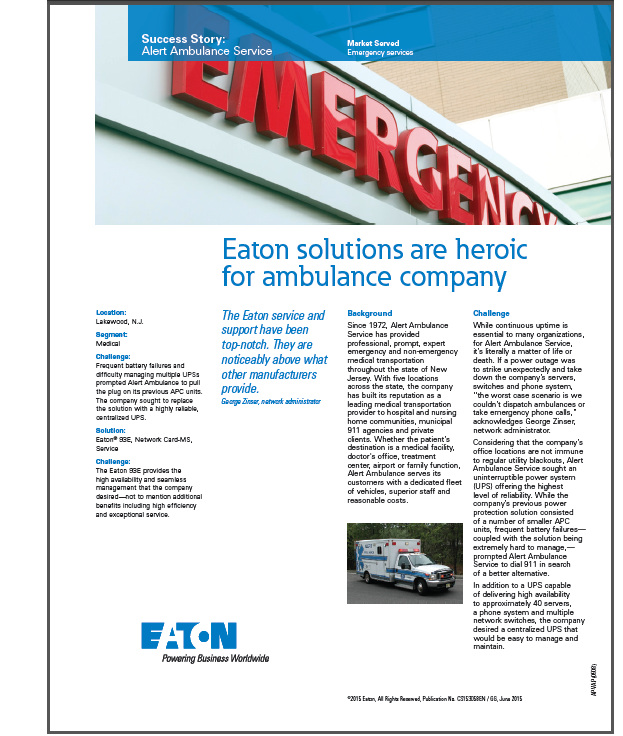 Results: The Eaton 93E provides the high availability and seamless management that the company desired—not to mention additional benefits including high efficiency and exceptional service.